The income distribution has worsened in most parts of the world. Latin America has the largest income inequality, although it is more equitable than sub-Saharan Africa and South Asia in life expectancy and schooling, states a UNDP report. The report also shows that countries at the bottom of the list still suffer from inadequate incomes, limited schooling opportunities and low expectancy rates due to preventable diseases such as malaria and AIDS. The HDI combines measures of life expectancy, literacy, school enrolment and gross domestic product (GDP) per capita. This year, the study included a record number of 187 countries and territories. Despite, economic growth India is still ranked way below at 134. The 10 countries that place last in the 2011 HDI are all in sub-Saharan Africa: Guinea, Central African Republic, Sierra Leone, Burkina Faso, Liberia, Chad, Mozambique, Burundi, Niger, and the Democratic Republic of the Congo. 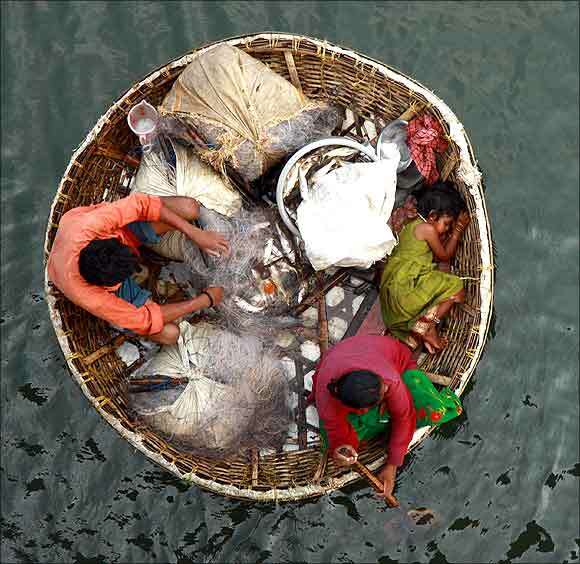 Image: A fisherman arranges a fishing net as his wife paddles their boat in the waters of the Periyar river. 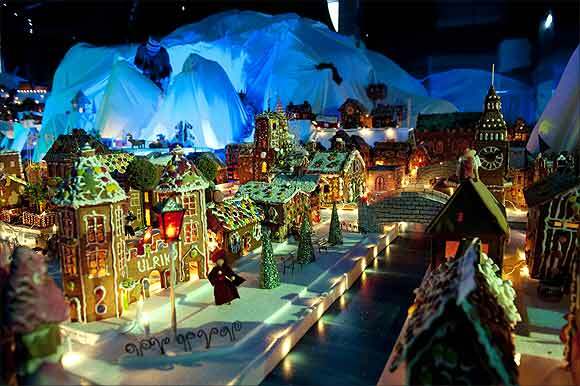 Image: A gingerbread town, consisting of buildings, boats, bridges and other structures, is seen in Bergen. 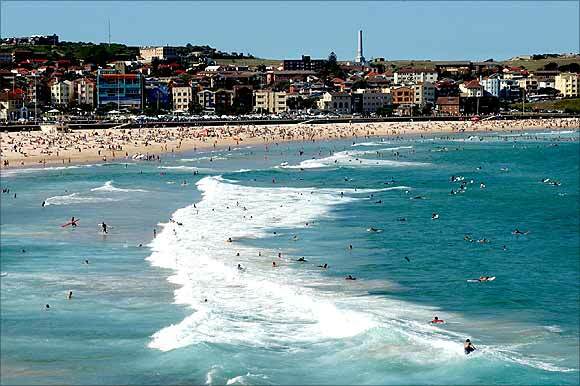 Image: Thousands of beach goers enjoy the sun, sea and sand on Bondi Beach in Sydney. 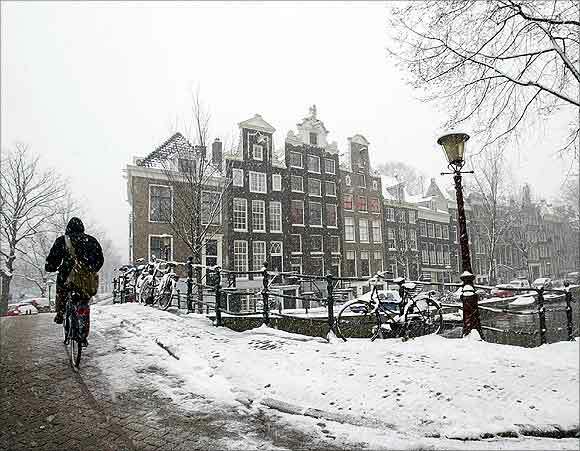 Image: A cyclist makes his way over a snow covered bridge in the Dutch capital of Amsterdam. 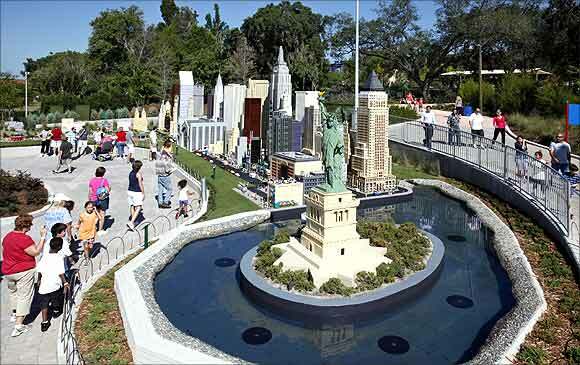 Image: Visitors walk past the Statue of Liberty and part of the New York skyline, constructed out of lego bricks. 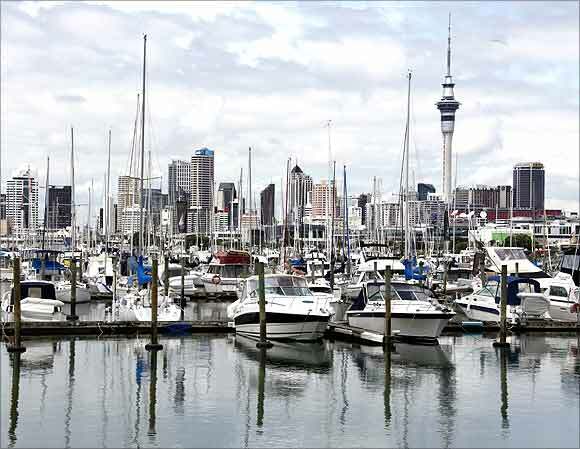 Image: A view of the city skyline from Westhaven in Auckland. 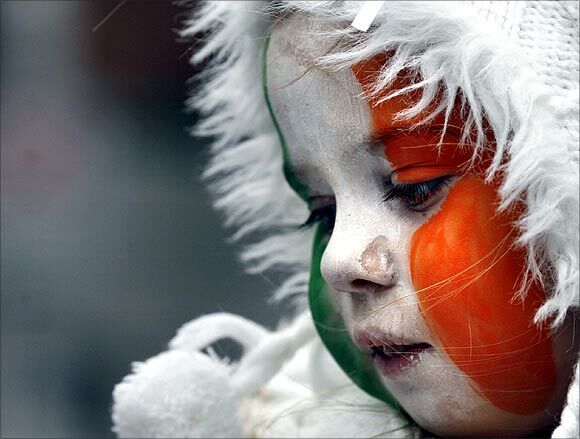 Image: A girl with face paint in Irish national colours looks on during the Saint Patrick's Day parade along Dublin's city centre. 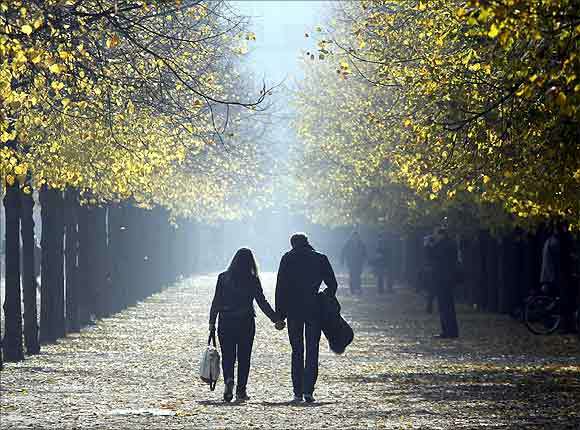 Image: People walk in an allee near the Brandenburg Gate during a sunny day in Berlin. 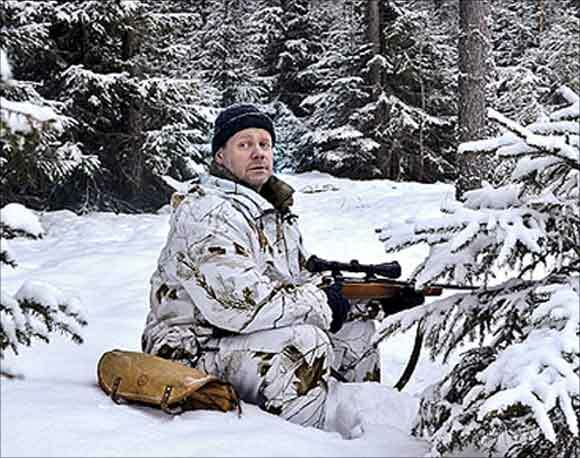 Image: Henrik Widlund looks out during the wolf hunt in Hasselforsreviret, central Sweden. 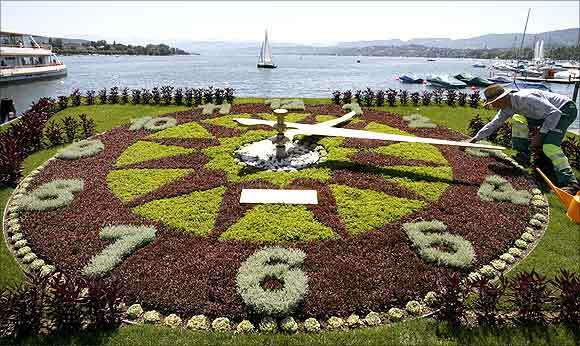 Image: A gardener prepares the dial made of plants, of a giant clock during sunny summer weather at the borders of Lake Zurich. 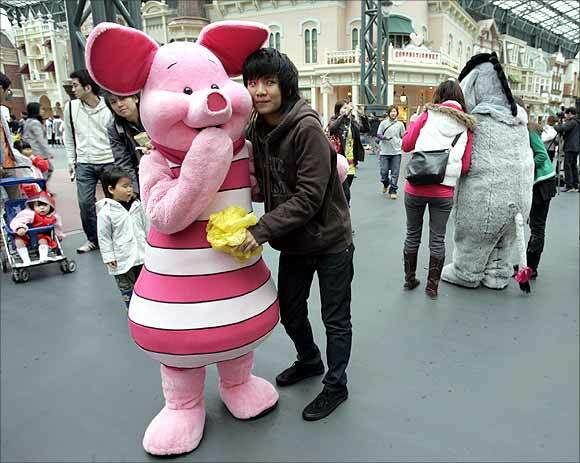 Image: A Thai tourist poses with Disney character Piglet at Tokyo Disneyland in Urayasu, north of Tokyo. 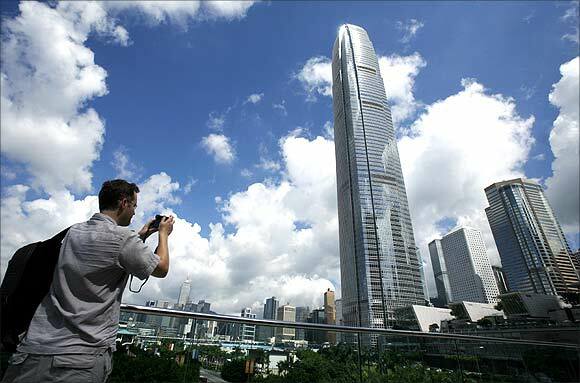 Image: A visitor takes a picture in front of Two IFC, Hong Kong's highest commercial building, on a sunny day. 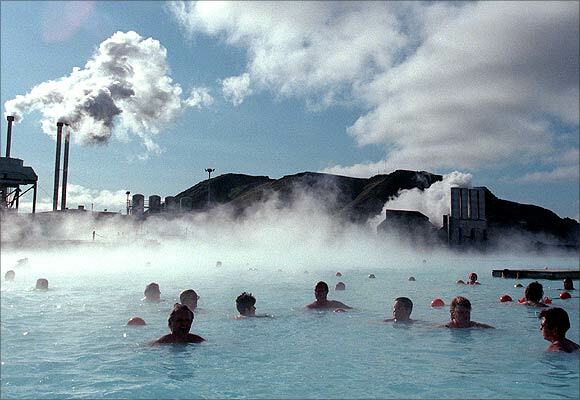 Image: Bathers at the Blue Lagoon hot springs swim in hot mineral waters amid a chilly wind as a thermal electricity plant looms in the background. 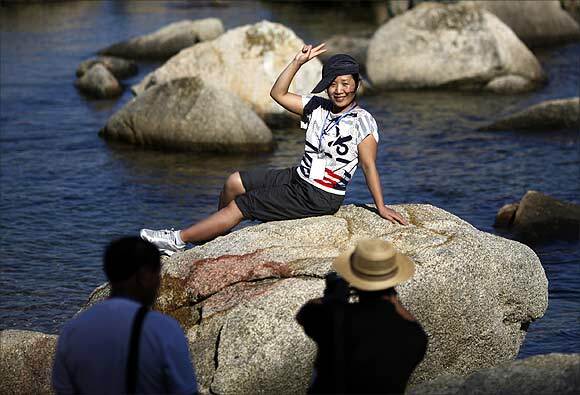 Image: Members from a Chinese tourism delegation visit a beach area at Mount Kumgang resort in Kumgang. Image: Child models present creations for the Spring/Summer 2012 collection at the Copenhagen International Fashion Fair for Kids. 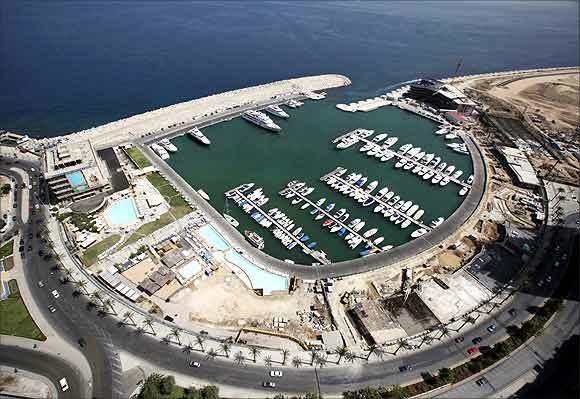 Image: An aerial view shows Saint-George Yacht Club surrounded by construction work in Beirut. 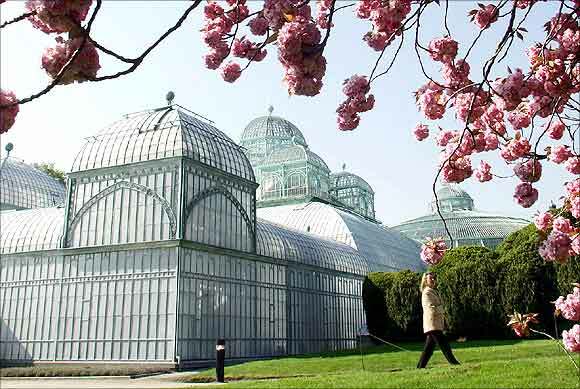 Image: A visitor walks past one of a hothouse on the grounds of the Belgian royal family's residence of Laeken in Brussels. 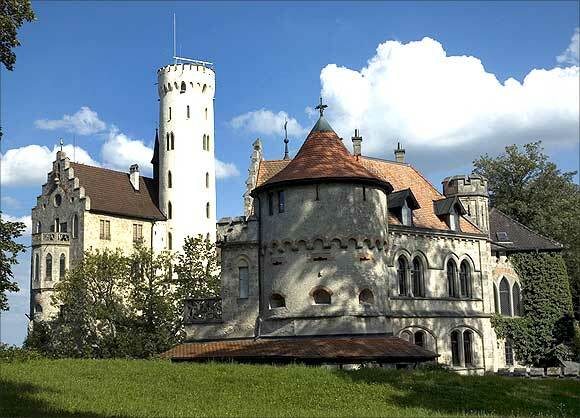 Image: A tourist takes a picture of the basilica of the Styrian town of Mariazell. 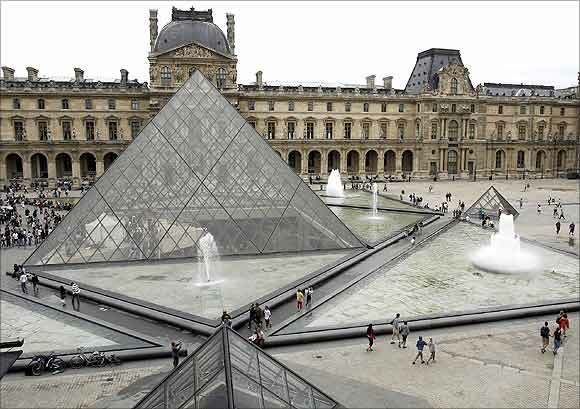 Image: The general view of the Louvre Museum with its glass Pyramid entrance designed by Chinese-born US Architect I.M. Pei. Quality of life? India ranks at a dismal 134!